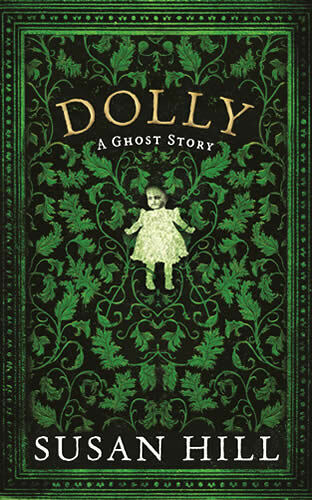 Susan Hill, author of ‘Woman in Black’, is acclaimed as the greatest living writer of ghost stories, and here is a perfect chiller: a story of two damaged children that’s filled with unease, the supernatural and horror. The remoter parts of the English Fens are forlorn, lost and damp even in the height of summer. At Iyot Lock, a large decaying house, two young cousins, Leonora and Edward are parked for the summer with their ageing spinster aunt and her cruel housekeeper. At first the unpleasantness and petty meannesses seem simply unpleasant, calculated to destroy Edward’s equanimity. But when spoilt Leonora is not given the birthday present of a specific dolly that she wants, affairs inexorably take a much darker turn with terrifying, life destroying, consequences for everyone. Book features : Black boards with gold-coloured author and title text on spine, black and red decorative head and tail bands, and maroon endpapers. Jacket features : Heavyweight embossed paper with a black and arsenic green motif, title text in gold, sub title and author text in white. A film based on Susan’s book The Woman in Black, starring Daniel Radcliffe, went on open release in the UK in February 2012. For more information, you might like to visit Susan Hill’s website. This is a rich source of info on her life, books and future projects.